i've always been keen to know what lies beyond having to shave everyday or getting a painful wax in an attempt to have constant smooth skin. having to shave your legs becomes extremely monotonous and for me personally, sometimes it means i can't relax when it comes to getting ready for a night out as i know i have to do the whole routine of exfoliating and shaving my legs THEN moisturising all for them to look remotely okay being bared instead of opting for tights. as i'm debating having a holiday later on in the year and there's no way i can get away with just letting my hair grow as i'm one of the unfortunate people that have incredibly dark hairs, i decided to do some research into laser hair removal as i am aware it's most celebrities; like kim kardashian choice of hair removal and i also know a few women who had it done for when they got married. it's described as working by focusing a laser beam at the base of the hair follicle, halting hair growth. 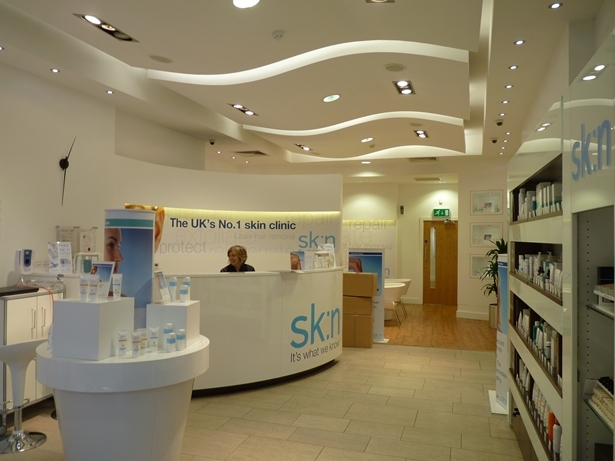 the sk:n clinic is located really closely to me in newcastle but they branches all over the UK and they do offer a consultation to do a test patch to see how your skin will react to the laser treatment. as it is supposed to last for four to six weeks before you need another session it's definitely something i may have to ponder about doing. 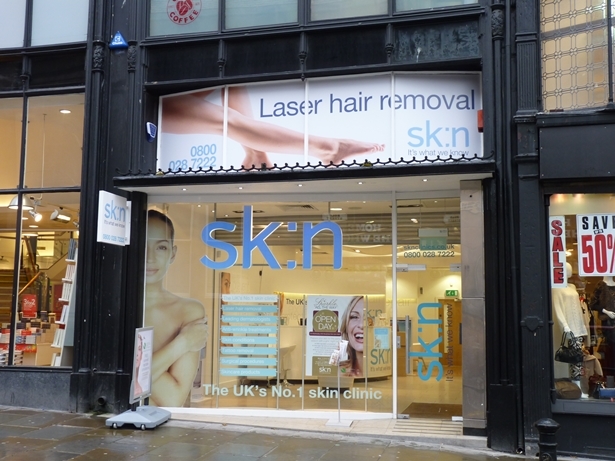 having checked the website they do currently currently have 30% off bikini and underarm laser hair removal courses which you can check out here, if you're interested. what do you think, is laser hair removal something you'd be interested in doing? or if you've already had it how was your experience? let me know! If i could afford it i'd defiantly get it, have dark hair is the bain of my life! Hey there! I've heard of laser hair removal but I've never really considered it before. I'm lucky because I don't get much unwanted hair and any is blonde (pretty lucky!) However I'd consider getting it done on my legs because every girl knows how much of a chore shaving is! However isn't it just a hell of a lot cheaper to get them waxed? Hope you had a great weekend. I just wrote a haul post which I'd love you to check out. If I could afford to get it done I think I certainly would - it'd save so much hassle! However I bet it can become fairly pricey. Still saving up in order to do this! I would love to get it done! Laser Hair Removal In Dubai can be used to treat the face, arms, under arms, legs, thighs, stomach and pelvic area.